One of the traits of a good investment is its longevity, and since roofing work is an investment in itself, it should last for a reasonable period of time. 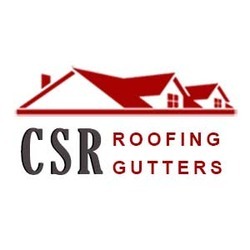 As a homeowner or business owner, finding the best roofing contractor in the roofing industry is of great importance in order to attain a reliable and lasting home or commercial roofing that you deserve. With Carolina Storm Roofing, you are assured of a quality roofing service at a reasonable price. When it comes to services for your roof such as roof replacement, roof repair, emergency tarp service, gutter guard installation, and especially when it comes to inspections on storm damaged roof and siding, gutter, Carolina Storm Roofing is a name you can depend on Wildwoods North Carolina for a lasting and complete roofing solution. Over time, we have served and helped families and businesses attain an excellent investment through their roofing needs. Hence, explaining the numerous positive feedbacks and praises we get from our satisfied customers. Such reviews were made possible particularly because Carolina Storm Roofing is a fully licensed & insured company, equipped with the best skills and high-quality roofing materials, not to mention the A+ rating given by the independent Better Business Bureau (BBB). Here at Carolina Storm Roofing, we treat our customers not as an investment, but rather as a family in the community. Come and visit us so we can assist you with your roofing concerns. Wildwood is a modest unincorporated community centered on the Wildwoods Road on North Carolina. Being an unincorporated community, it means that Wildwood is not governed by a local municipal corporation. In terms of its population, it is a close-knit community with almost 5,000 residents, which could mean more than a thousand homes needing roof repair and other roofing services in the coming years. The housing value in Wildwood is around 39 percent which is lower than Charlotte, and it could mean more opportunities for a home purchase due to its affordable housing. This area of United States is known for its theatres, farms, and wellness spas. Similar to Wildwoods homes, establishments as such would necessarily require good quality roofing materials and roofing service over time. In terms of its weather, the highest monthly average temperature for the month of January is 44 degrees, while moving up to 79 degrees upon reaching August. What makes Wildwoods a stand-out apart from its attraction is their air quality index that is 15 percent better than the national average. On the other hand, safety and security issues are not of a great concern in Wildwoods, for this community is far safer than 39 percent of the other cities in North Carolina. To put it in perspective, there is 1 in 16 chance that you will become a crime victim while staying in the said area.